By Ogechukwu Ubah (Abia Writers). The broadcasts of Mazi Nnamdi Kanu, the leader of the indigenous peoples of Biafra on radio Biafra London since he started “Operation Unmask The Impostor”, have made it clear to anyone that listened to those broadcasts that Nigerian President Muhammadu Buhari is dead. Mazi Nnamdi Kanu said that the man in Aso Rock parading himself as Nigerian President is not Buhari; he called him Jubril Aminu Al Sudani from Sudan. 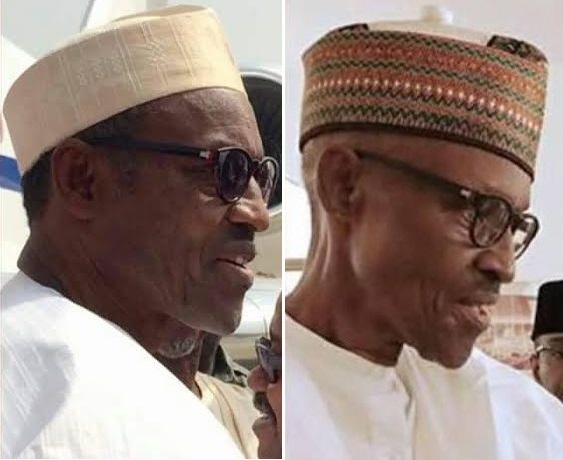 He made it clear that Abba Kyari and Northern Cabal brought him from Sudan, took him to London, and plastic surgery was performed that made him look like Buhari, after which he was brought back to Nigeria to continue to act as the dead President of Nigeria. According to him, the surgery cost the Nigerian government several millions of dollars. He was saying all these things with evidence, some of which are; the real Buhari was bald, his hands were wrinkled due to old age, the configuration of his ear is unique. Buhari was taller, had gapped teeth, always sick and can speak the indigenous Fulani language, fulfude. Jubril the impostor is not bald, has no wrinkled hands because he is younger, his ear has a different configuration, he is shorter, has no gap in his teeth, barely gets sick and cannot speak Fulani language. Jubril did not attend because he was afraid he would be found out as Mazi Nnamdi Kanu has revealed his identity and international intelligent agencies were on ground to confirm this. Another reason he couldn’t attend is the dress code of the event was suit. He cannot wear a suit with a cap on, and he would not want to remove his cap as it would show that he is not bald like Buhari. To collaborate Mazi Nnamdi Kanu’s assertion, Buhari’s name was not in the attendance list. The event was beamed live by international media houses like CNN, Press TV, Aljazeera and others, Buhari was not seen in the celebration. The only evidence the presidency has are fake and photoshopped pictures posted by Femi Adesina. This shows that Jubril or Buhari if you choose to call him that did not attend the event. Why did the Nigerian government lie to her citizens that Buhari participated in the event while he did not? It is because Buhari is dead and they are hiding it from Nigerians. Nnamdi Kanu has exposed their evil with evidence and has challenged them to prove him wrong, up till now, not even a single person has come up to disprove him, instead, it is lies upon lies. Which means all that Nnamdi Kanu said are the truth.